Raise your hand if you’re a homebody! If you raised your hand or know someone who is, then these gift ideas are for you (or that individual you know). 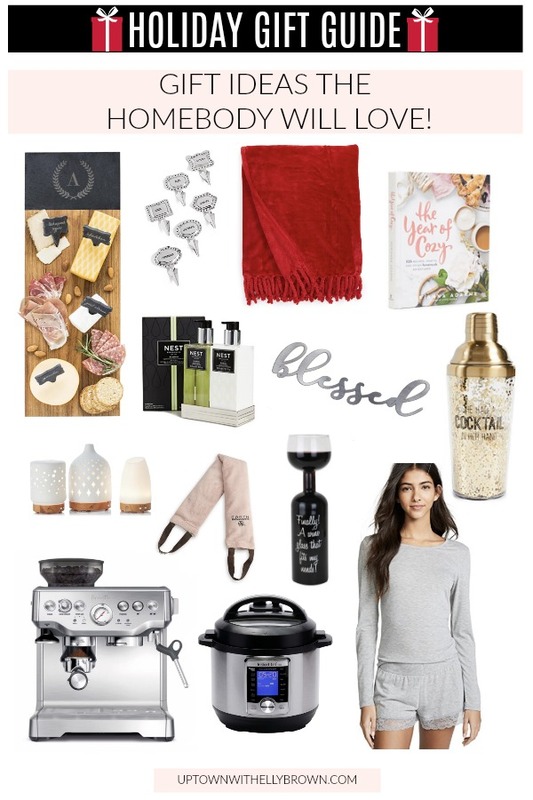 When it comes to gift ideas for the homebody, think warm, cozy, and/or decor. Chances are the homebody likes to lounge around and loves to do it in style! Since the homebody doesn’t like to get out much, splurging on a nice coffee machine or a metal sign that has a special meaning will both go a long way. (BTW-Love metal shack and their signs, they have some adorable ones for under $50)! Do you have a homebody in your family? If so, what are your suggestions on gift ideas for the homebody? Share them below! Thank you for stopping by! Have a great day! Check out more gift ideas here.